Morning radio in Utah used to be a big competition between stations, with nearly every station in the state having its own team of DJs or solo talent waking up the city with their own brand of news and entertainment.--- But with 70% of local stations under almost complete automation and the rest cutting corners everywhere they can on air, that selection has dwindled to a handful of shows ,with bigger companies refusing to take the risk anymore. So anyone looking for a different voice in the morning has to either turn to podcast or find an independent alternative. 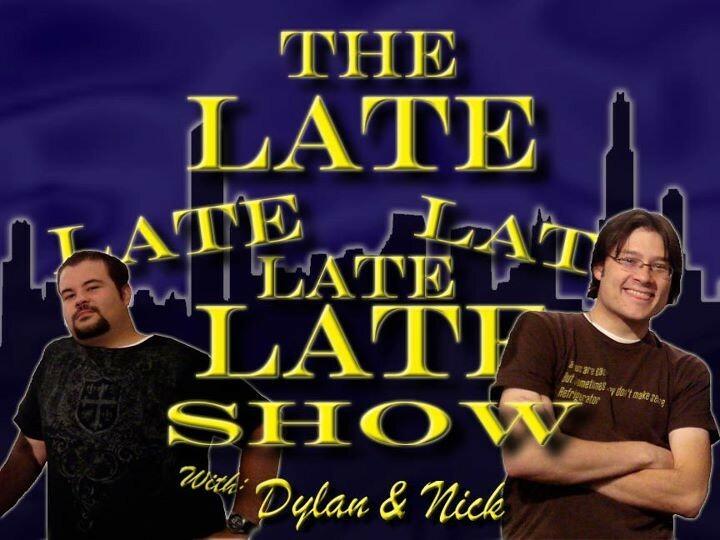 Weber State's college station, KWCR 88.1, seems to have found that alternative program with The Late Late Late Late Late Show. Hosted by Nick Smith and Dylan Allred, the two-hour morning comedy/news show hosts talk about whatever they feel like with an array of guests brought in on a whim, embracing the unpredictability that morning radio thrives on. And while the schedule and reach of the show may not be accommodating to some, the duo have branched out into podcasting their episodes immediately after airing to give Utah audiences a chance to hear them the same day. Today, we chat with the two about their show and the success they've seen, plus their thoughts on radio in general. Gavin: Hello, gentlemen. First off, tell us a little bit about yourselves. Dylan: Thanks, Gavin, for inviting us to do this. My name is Dylan Allred, I’m 24-years-old, and I’m a student at Weber State University. I was born, raised and still live in Ogden -- I know, kind of boring, huh? I spent my junior high and high school years being an actor in school plays as well as community-theater productions. In those six years, I performed in over 40 productions. 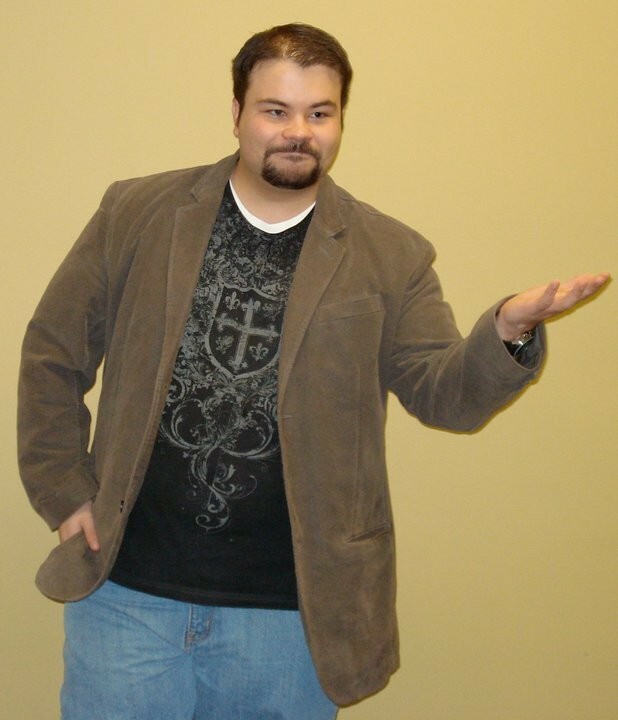 I was also involved in the creation of two comedy improv shows, neither of which is still running. After I graduated from Bonneville High, I worked in technical theater, mostly as a stage manager and lighting designer. I am also one of just a few people who have worked at both Walt Disney World in Orlando and The Disneyland Resort in Anaheim. Nick: I was born and raised in Ogden and love it here. 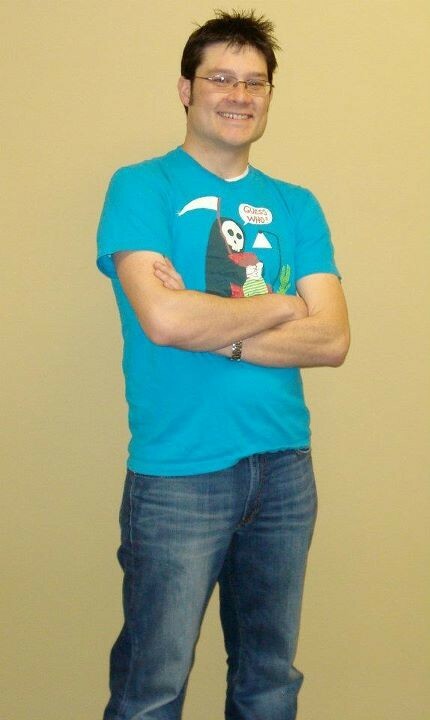 I am a senior at Weber State University, graduating in April with a Bachelor’s Degree in Electronic Media. After graduation, my wife and I will move to L.A. where I have an internship with Conan. I plan on working in television as a producer, specifically late-night talk. Gavin: How did each of you first take an interest in broadcasting, and what were some early influences on you? Dylan: My dad has worked in radio my entire life. Actually, the only career advice that my dad, my stepmother, and my mother have ever given me is, “Please, for the love of God, don’t go into radio!” When I was a kid, I listened to Radio From Hell. If I didn’t I’d get hit. I also remember listening to the Phil Hendrie Show, A Prairie Home Companion, Car Talk, and Wait Wait ... Don’t Tell Me on NPR. Nick: A friend hosted a punk cover show on 88.1 Weber FM, and asked if I wanted to co-host with him. I had always loved listening to the radio, and enjoyed working on it even more. Growing up, I listened to X96 almost exclusively and always thought DJs like Sean Boy Walton were so cool. Gavin: When did the decision come about for each of you to study it in college, and what made you choose Weber State for your education? Dylan: I bounced around several of majors. Acting and theater were too narrow, and offered very little in the way of consistent work, and business was too boring! I decided that communication/broadcasting was the best of both worlds. 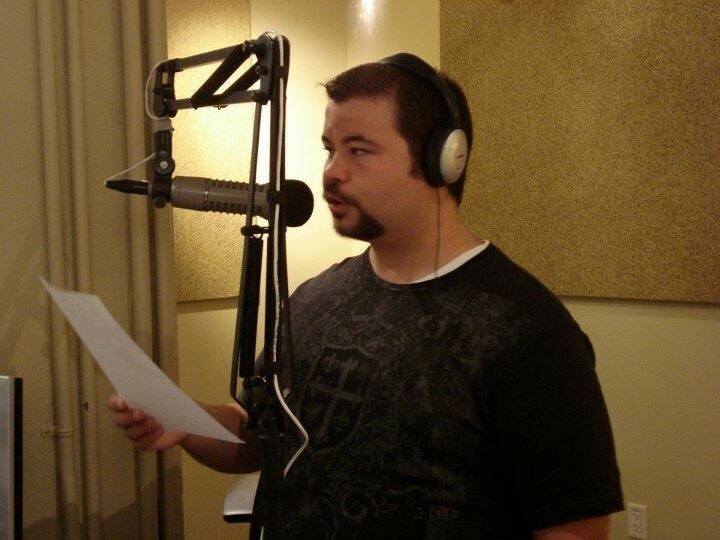 Nick: The radio-production class I took for fun is what changed my mind. I had always planned on attending college, and I began at Weber State because I am from Ogden. I initially intended on completing generals and switching universities, but after comparing my friend’s experiences with my own, my classes were small, all my professors knew my name and were willing to work with me. I wouldn’t trade my education for any other. Gavin: Prior to going to Weber, did either of you have any prior experience in A/V or radio work, or were you essentially going into it blind? Dylan: Yes, I had some experience because of all my work in live theater and hanging around my dad’s studio from time to time. Nick: I absolutely went into it blind. Gavin: When did the two of you first meet and become friends? Dylan: We met each other when I joined the DJ class at Weber in January 2010. Our friendship has been growing over the last few years. We are very lucky that we are able to work together and stay friends. That is very unusual. Nick: Who said we’re friends? The first time I remember meeting Dylan was at a remote for 88.1 at the Ogden Ice Sheet. After doing the show together for a few months, we just started hanging out. 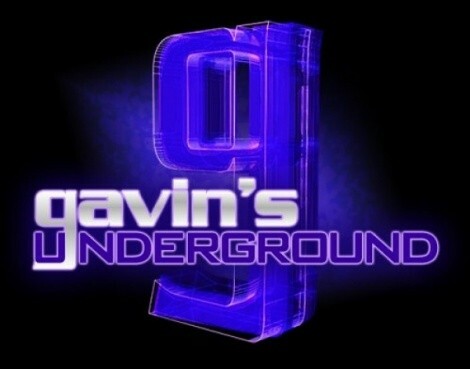 Gavin: How did the opportunity come about to do the morning show, and what made you both decide to work together on it? Dylan: Nick had already started a show that aired on Thursday mornings. I think he thought I was funny or something, and asked me to be on it with him. We reorganized the show, made air checks, and pitched it to station management. Nick: Another kid and I started the show, but felt something was missing. We asked Dylan to come on shortly thereafter. 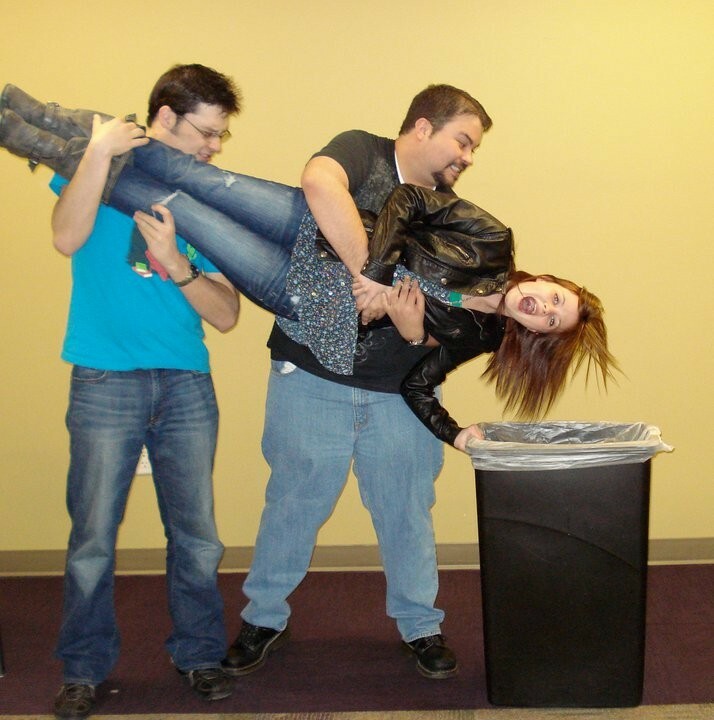 Dylan had the sense of humor we were looking for and was good on-air. Gavin: What was it like for you both planning it out, and how did you come up with the name? Dylan: We spent many hours sitting around and coming up with segments, and making outlines of the show. We all had many ideas that never made it to the air. Nick came up with the name. Nick: We are pretty much always planning. The show has undergone a good deal of changes. That’s the great thing about college, it’s all an experiment -- sometimes it works, sometimes it doesn’t. When coming up with ideas originally, the other kid and I decided we wanted to do a morning talk show that was real and genuine with no goofy gimmicks or sound effects, something like a late-night talk show you could listen to on the way to work. 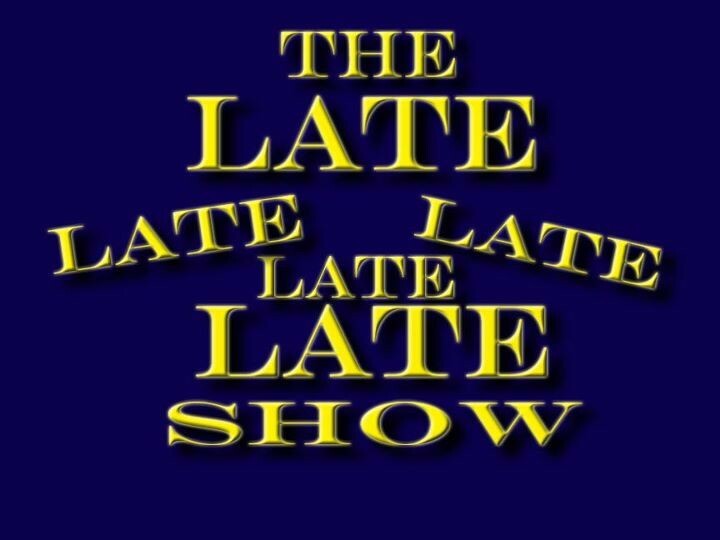 I have always been a huge Craig Ferguson fan and pitched The Late Late Late Late Late Show as a sort of homage to The Late Late Show with Craig Ferguson. 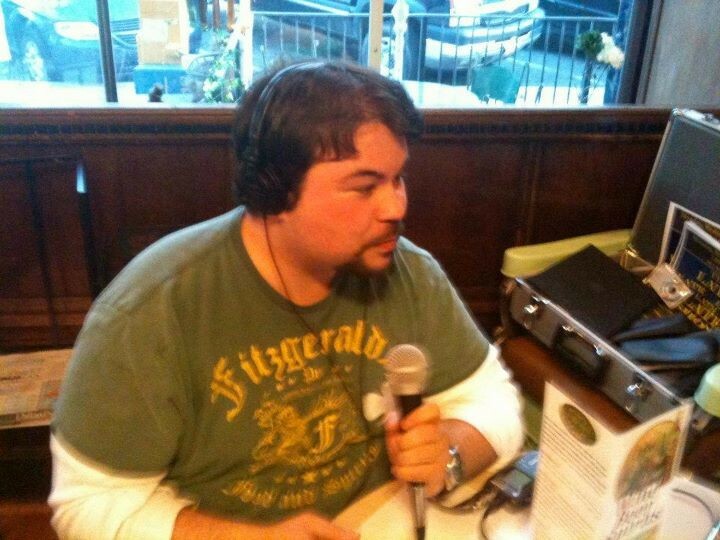 Gavin: The current show launched in early 2010 on KWCR. What were your first few months like and what lessons did you learn early on? Dylan: The first few months were hard, but a lot of fun. Doing a show like this changes how you live your life. I remember after the show had been on the air for only a month or two, we had horrible rains that flooded the basement of my house, and as I was standing out in the rain bailing water away from the house with buckets I thought to myself, “This is great! It will make an awesome story for the show!” One lesson we learned early on was that the show must always be growing and changing. When we begin to feel like we are comfortable with what we are doing, we change it. Nick: The first few months were chaotic. We originally wanted a show that was completely spontaneous, so we didn’t plan a thing. That failed really horribly, really quickly. Once Dylan came on, structure was added and things instantly ran more smoothly. Everyone has good ideas now and then; the most important thing I learned early was to listen to everyone. Gavin: Why are you set on a Monday-Wednesday-Friday schedule? And what kind of a challenge has it been for you cultivating a live listening audience with an on-and-off schedule such as yours? Dylan: We have talked a lot about going to five days a week, but because we are both full time students, and have real jobs, we just feel like it would be too much. Nick: We were actually originally on once a week. We really wanted a five-day-a-week show, but classes got in the way. It’s been hard enough to work around the 7 and 8 a.m. hours on Mondays, Wednesdays and Fridays. Of course, it would be easier to cultivate a regular audience with five days a week, but it really helps push us to always make sure we give our most to every show. It may be our only shot to keep listeners. Gavin: You're one of the few morning-show programs in the state that podcast their episodes immediately after airing. What made you decide to podcast the show, and what's the reaction been like from fans online? Dylan: The signal of KWCR isn’t very strong, it gets out to Layton … sometimes. We do, however, sound pretty good in Tooele! We realized that if we wanted people to listen to more than 15 minutes of the show, we would have to put it on iTunes. I have talked to people who listen to our entire show on their iPod at work every day. Nick: Radio as we have known it is quickly becoming obsolete. More and more people listen to music and programs online via satellite radio and podcasts, especially the college crowd. I believe we have more podcast downloads than live listeners, so they must enjoy it. 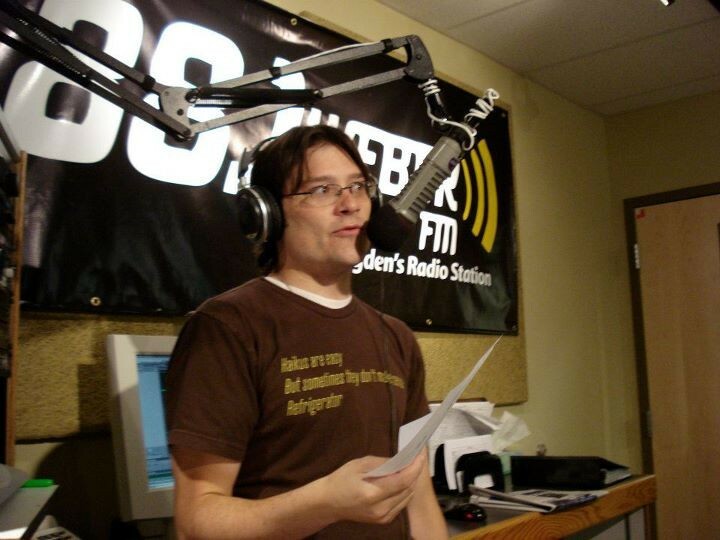 Gavin: Even though the station doesn't reach far beyond Ogden, you are, in a sense, competing with the major morning shows in the area and fighting for the local audience. How is it for you trying to appeal to audiences who are somewhat set in their routines with other long-running programs? Dylan: We are a nonprofit station and we are financially supported by Weber State University, so we don’t worry about ratings. We are more than happy for people to listen to Radio From Hell, or whatever they listen to, live — and listen to us later on iTunes. Nick: I don’t think we are trying to gain those listeners. Don’t get me wrong, we’d love to have them, but we are a show about trying new things and not being stuck in a pattern. I like to think our listeners take the journey with us. They like our mistakes and enjoy it more when we succeed. If someone isn’t willing to take a risk, let them stay with the same old, same old. I want an adventure and think our listeners do as well. Gavin: The show has been running over two years as of this interview. What's your take on having run this long on a college station, where so many usually die out after their first year? Dylan: We have lasted this long for two reasons: A., because we love doing it and we make it a priority. I think a lot of college shows go away because the hosts doing them get bored, or they get sick of doing the work; and B., -- and B is the most important -- we are still on because no one has kicked our assess off the air yet, but that could happen any day. Nick: We have strived to make the best show we can, with a fluid show, rotating co-hosts and segments that either make it or don’t; based on our listeners, we have kept things different and interesting. I hope those who listen know they can depend on us to make things work, but keep things fresh. Gavin: Like any college station and running program, there's a sort of unofficial expiration date on the show, where people can expect it to go away when you graduate or move on. Have there been any discussions as to how long you plan to stay? Dylan: We have not really discussed this publicly yet, but we have talked about it a lot in private. Nick is graduating in April, and I haven’t decided for sure yet if I am going to look for a new co-host, call it quits or turn the show over to some freshmen or sophomores who will take good care of our baby. Nick: I will graduate in April and move in May, but there has definitely been discussion on bringing in a new co-host who could carry it on, but that’s really up to Dylan. Gavin: When the day does come that you leave KWCR, are you planning to carry on the show in podcast or take it to another station, or do you feel more like you'll both move on to other projects? Dylan: If we had an offer from a commercial station that would pay us to do it, we would very seriously consider it, but other than that, I think we will both probably move on. Nick: Unfortunately, Dylan still has some schooling left. It would be extremely difficult to carry the show on together, hence the possibility of a new co-host to carry the torch. I love the idea of the show becoming a staple and just changing hands from time to time. Gavin: Moving on to local stuff, what are your thoughts on local radio, both good and bad? Dylan: I think that local radio is in a slump right now. KRCL is doing some good things, as well as KCPW and KWCR. Nick: Local radio can have the best and absolute worst of whatever it is they are going for. Most local radio I am aware of has a certain raw feel to it. I personally love this. When it is done well, it can be better than anything on a regional or national basis. However, there is a lot of weeding out that needs to be done to find the really great stuff. Hopefully, we don’t fall into that category. 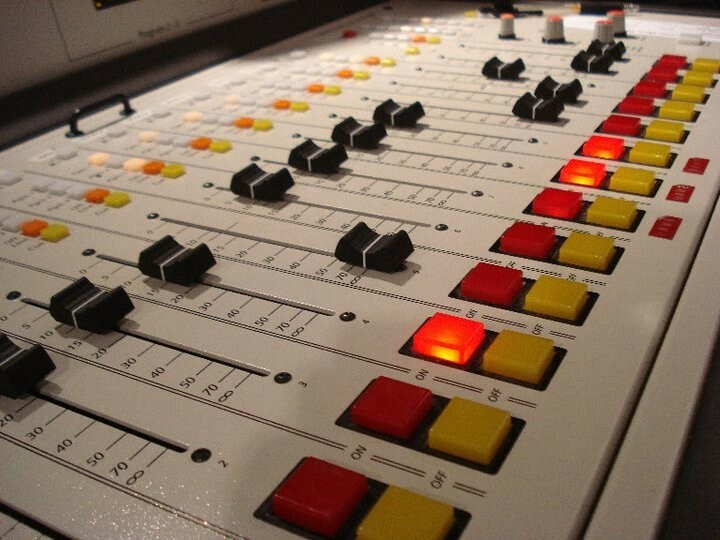 Gavin: Considering the state of radio these days, is there anything you'd like to see improve on a local level? Dylan: Many local radio stations are owned by big companies who choose to air nationally syndicated shows because they are cheaper, and if that keeps happening we are going to lose local radio all together. Nick: Too many companies worry about what is popular around the nation. Radio as a whole is no longer owned locally. Thus, no one listens to those of us who actually listen. I would like to see ownership come back to Utah. Companies like Clear Channel, Viacom, Cumulus, etc. don’t care about what Utahans want. They care about the cheapest way to make the most money. Local radio has personality and wants to hear my opinion. Gavin: What kind of a challenge has it become for you as broadcasters fighting with podcasts for audiences? Dylan: The local podcasting community has actually been very supportive. People have been very generous about asking me to come on their shows to promote our show. My challenge is making the time to get more involved in that community. Nick: We understand that life is increasingly becoming about convenience. People no longer tune in at certain times for radio or television. The Internet has allowed us listen and watch what we want, when we want. We try to keep our show relevant and up to date, but still something you can listen to at any point throughout the week. Gavin: What community-radio-based shows do you believe people should be checking out? Dylan: I am going to be a company man and recommend two shows that are also on KWCR. The first is Ogden Outdoor Adventure Show, which talks about fun things to do in the great outdoors around Utah. The other is Fully Loaded Sports, hosted by Trevor Amicone. Nick: Anything on 88.1 Weber FM, of course! I would say just station hop. There is no reason anybody should stick to any one station. KRCL and KLO have some great programs. I’m sure there are also plenty of good local stations we don’t get in Ogden. Discover something new this week. Gavin: What can we expect from both of you and the show over the rest of the year? Dylan: Our first semester doing the show, we took recording equipment and went down to Las Vegas. 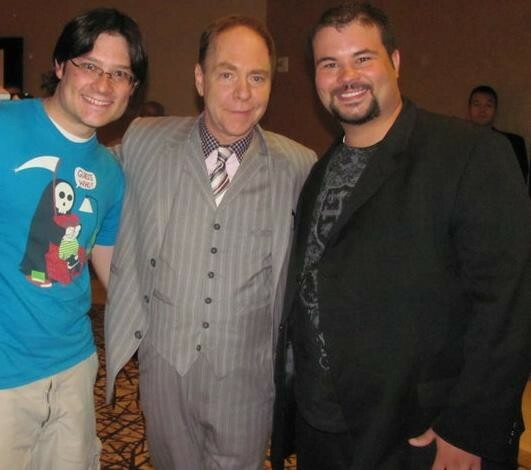 We actually did an interview with Teller from Penn & Teller. This semester, we are taking the show to New York City. Nick: We have a bunch of tickets to Sundance films, and we are going to review them on the air. We have also been talking about doing a marathon 12-hour show. 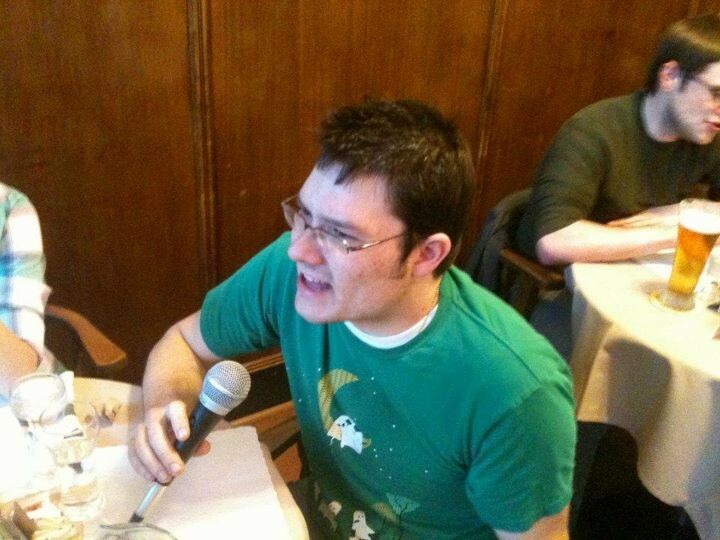 Dylan: I am working on a project with my dad -- Bill Allred, Radio From Hell -- called The Let’s Go Eat Show. Nick: Civility. Just be decent to one another. I’m looking at you, GOP candidates!